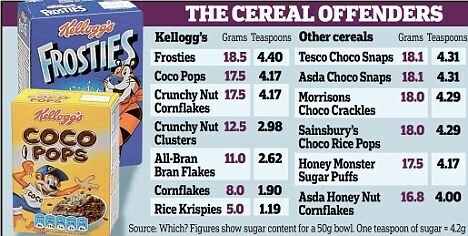 There’s 4 grams of sugar in a teaspoon, folks, and a “serving” of cereal is supposed to be 3/4 C. Who the hell ever stopped at 3/4 C. of cereal? 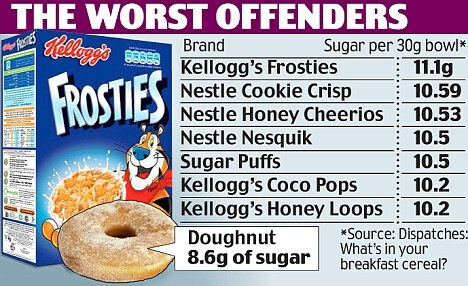 thank goodness I don’t eat breakfast cereal or sup fizzy drinks! By “watch” do you mean you stare at the sugar while you’re shoveling it into your mug? 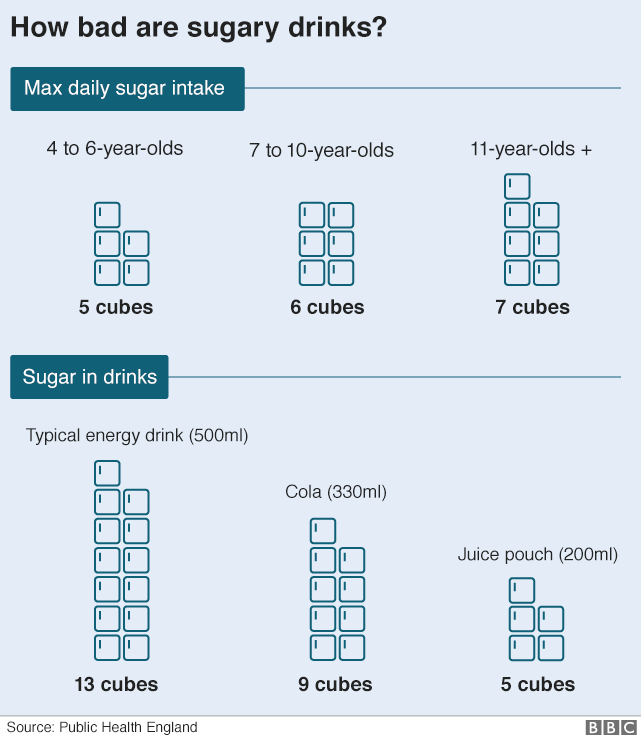 The “Sugar in Drinks” graphic from the BBC is highly misleading. The faux comparison clearly suggests that both “cola” and “juice pouch” drinks contain less sugar compared to an allegedly “typical energy drink”, but in fact there is almost no difference in the percentage sugar content of all three drinks. I wonder whether someone was paid to put this deception on air, or is it an example of reporting by young naive staff filling the shoes of more experienced former colleagues.